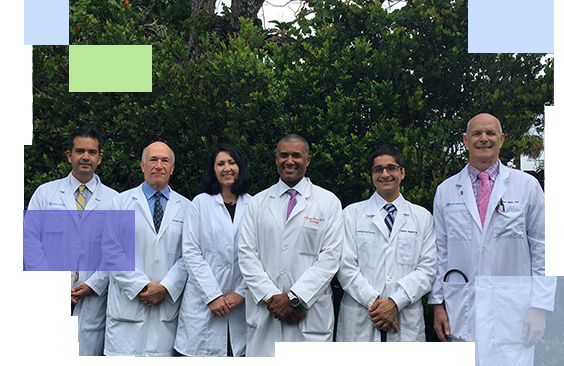 Cardiology Associates of Stuart is committed to providing state of the art diagnostic and therapeutic cardiovascular services to our patients in a timely and compassionate manner. The cardiologists of Cardiology Associates of Stuart are all board certified and are able to provide all aspects of cardiac care for our patients. Cardiology Associates of Stuart is a community-based practice with the most experience on the Treasure Coast. Patients will be seen by one of our cardiologists at every visit. From preventative cardiology to angioplasty and stenting, we provide a full range of cardiovascular services. Click below to see our full list of services. We are committed to personal service and care of our patients. When you call our office during office hours, you will be promptly greeted by a highly trained person. Appointments are made by telephone. We take pride in our excellent continuity of care by treating our patients in the hospital as well as in the office. Please dial 911 or go to the emergency room and identify yourself as one of our patients and the hospital staff will contact us promptly. On nights, weekends, and holidays, call the main office phone at (772) 781-0222 and we'll promptly contact the physician who is on call for you. Call to schedule an appointment with one of our experienced cardiologists.